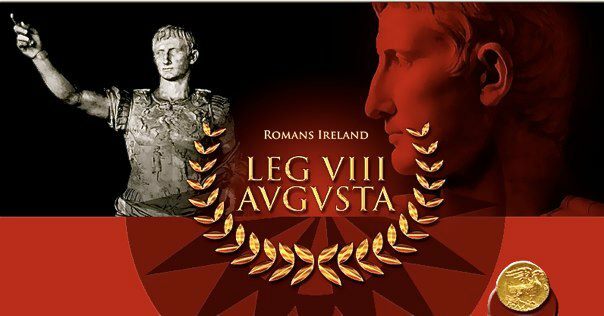 ​​​This the first ROMAN LIVING HISTORY group in HIBERNIA (Ireland) was founded in 2005 by Joseph P O'Doherty Saleh. The main purpose of which was to portray as accurately as possible as many historically accurate aspects of ROME, and its society . This aim to be achieved by research and the display of historically accurate reproduction, weapons, armour, clothing and everyday objects. We display at public and historically themed events,and also are available to support community and Charitable Societies. The South Parish Historical Society. The Shandon St Communty Festival. The Douglas St. Traders Community. Cork City Council Volunteer project. We have received a commendation from the lord Mayors Office for our contributions to the community. We also have a schools and colleges visitation program. ALL FUNDS RAISED OR EARNED ARE USED TO SUSTAIN AND PROMOTE THE GROUP. Many of our members hold academic qualifications related to our interest in ROME and the CELTIC Past. e.g. Our Senator M.F. Gasparro has a BA in Greek and Roman studies from UCC. Roisin Hurley has a BA in Archeology, from UCC. The reason we share this information is in order that the public may understand that we take this very seriously and it is not just about dressing up and looking good. interest In ROMAN or the CELTIC past. We have members drawn from all parts of HIBERNIA (IRELAND) and indeed a few associates from BRITANNIA and other parts of the EMPIRE. We have some equipment which will allow you to try a few events before committing to acquiring your own. What could be easier. GO ON GIVE US A CALL.